We will also be watching the short film, For Love Alone on our huge screen in the new St John Paul II Student Centre and there will be time for silent prayer and Confession during a Holy Hour. Spaces are limited so get in fast! Please RSVP by Dec 10 to usydchaplaincy@gmail.com. 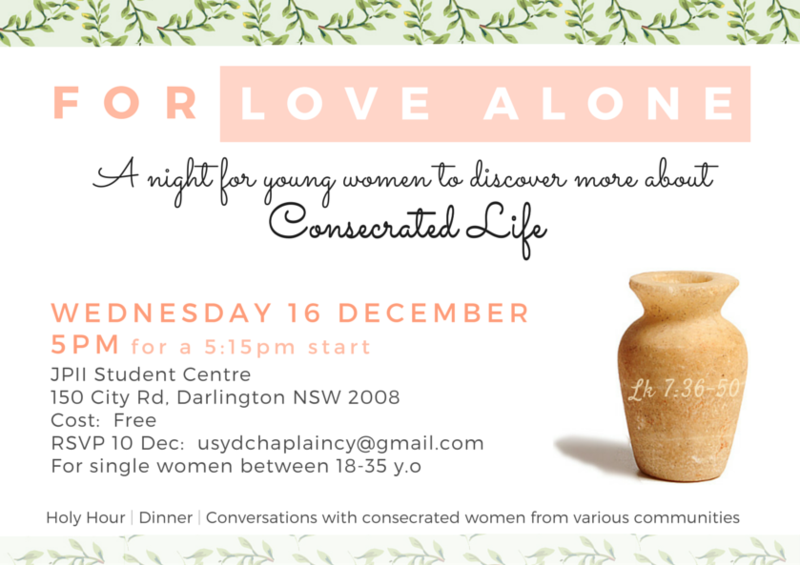 This event is brought to you by the University Catholic Chaplaincies and the Vocation Centre to celebrate the Year of Consecrated Life.